Truedor has announced the winners of its ‘Amazing Competition’ for the best photographs of its doors sent in by homeowners. The winning homeowners were each presented with a signed copy of Truedor’s brand ambassador George Clarke ‘Amazing Spaces’ book while the winning installers each received a voucher for an amazing £100 of their next purchase. "We wanted our trade installer customers to get involved and to have an opportunity to show how proud they were of the fantastic installations they had done. 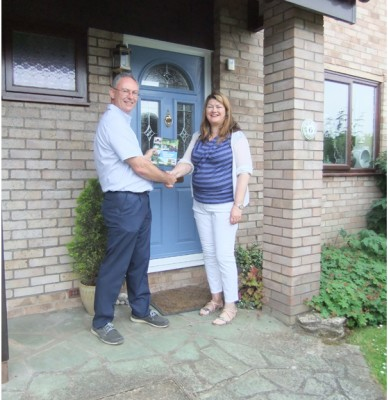 Encouraging them to get homeowners to send the photographs in with a recommendation for them was a great way to do it; creating a competition where the homeowner could win a prize and the installer too was absolutely perfect." "The response was outstanding and the most difficult thing was picking out the winners. In the end we picked ten, and the photographs are all featured on our website www.truedor.co.uk. We would encourage installers to keep on sending photos in for the gallery; it will certainly help when consumers visit the site." "We are grateful to George Clarke for giving us so many copies of his fabulous ‘Amazing Spaces’ book which have been really well received by the winners, and our congratulations go to the winning installers, each of whom won a £100 voucher to discount off their next Truedor." "The competition is just one of the things we are doing to engage with installers of our doors and their customers, and there will be lots more exciting initiatives to come."